"Don't let the Nazis steal our village wine. The wine is our pride." Italo Bombolini the mayor of the small village in Italy stood up to fight off Germany military. 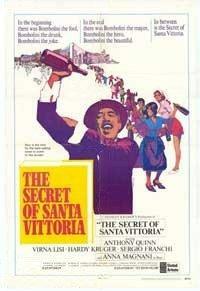 Stanley Kramer's "The Secret of Santa Vittoria" is a film filled with great performances by Anthony Quinn, Anna Magnani, Virna Lisi, Hardy Kruger and Giancarlo Giannini. 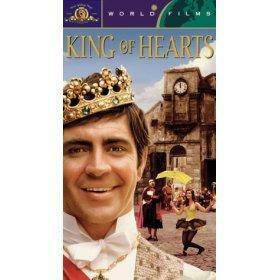 King of Hearts (Le Roi de Coeur) is a fantastic film directed by Philippe de Broca. I saw it when I was 13 and it's still one of the best after seeing nearly 10000 movies. 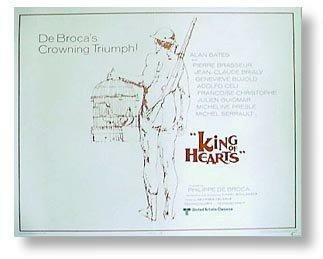 Broca served in Algeria and that's when he got the idea of making the film.